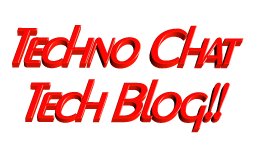 Windows 8.1 tab in india | Techno Chat|Tech Blog!! Acer announced the Iconia W4, successor of the Iconia W3 back in October. Today, the company launched the tablet in India. The Iconia W4 has a 8-inch (800 x 1280 pixels) multi-touch IPS display, powered by a 1.8 GHz quad-core Intel Atom Bay Trail T processor with integrated Intel HD Graphics and runs on the latest Windows 8.1. It comes pre-loaded with Microsoft Office Home and Student 2013 and packs a 18.6 Wh 4960 mAh 3.75 V 2-cell Battery Pack Lithium -Ion battery that offers battery life of up to 10 hours for web browsing and up to 8 hours for video playback. Posted in Windows. Tagged 4 hd, Acer iconia w4, Acer w4, New Windows* 8 Tablets, windows 8 tab in india, windows 8 tablet available in India, Windows 8 tablet in india, Windows 8 Tablets Price in India, Windows 8.1 tab in india, Windows 8.1 tablet in india, Windows 8X acer iconia, Windows 8X acer iconia w4 hdmi. I think that technologies are morally neutral until we apply them. It’s only when we use them for good or for evil that they become good or evil.